A consent form is used for obtaining permission from a specific entity before proceeding to perform a task or operation. The basic motive of Consent Forms is to provide evidence of consent or allowance given by a person for proceeding to action. For instance, a consent form may be used in hospitals to obtain consent from the patient or his or her guardian before a medical procedure which may involve risk to the health of the patient. An Informed Consent Forms is given after providing the details of the task which a person is about to undertake. It should contain all the necessary information with regards to the specific task or operation about to be taken. 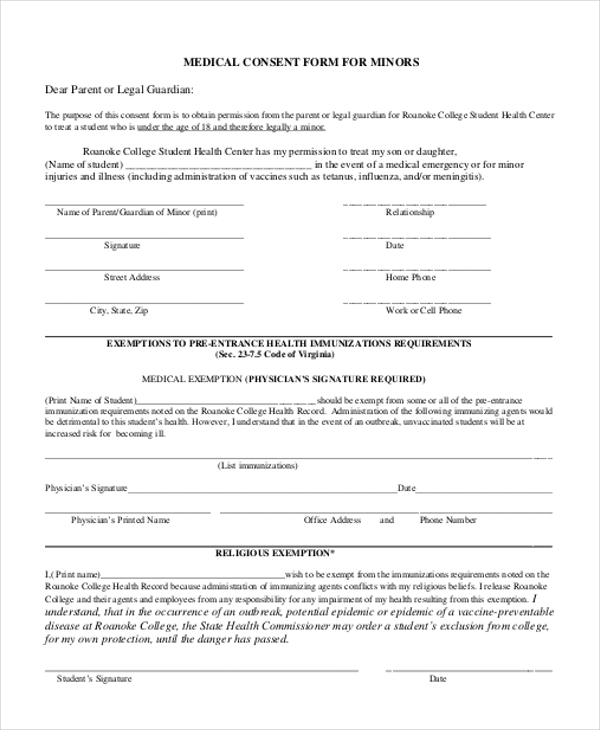 A Medical Consent Forms for minor form for a child is used for the purpose of authorizing his or her guardian or parent who can make decisions related to healthcare for him or her. The adult guardian can be a sibling, grandparent, aunt, uncle etc. 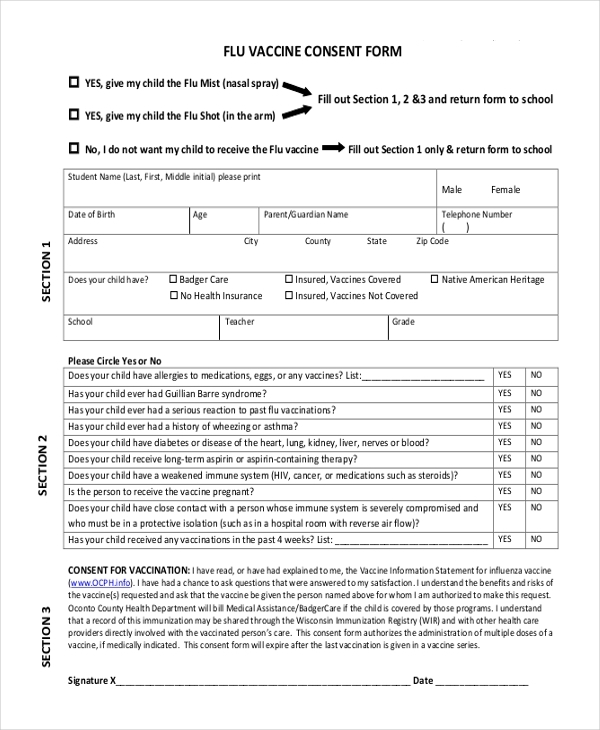 Flu vaccine consent form is used when the flu vaccine has to be injected to a child. Since a child cannot take his or her own healthcare decision, a parent or guardian should give the flu vaccine consent form to the doctors as an approval. 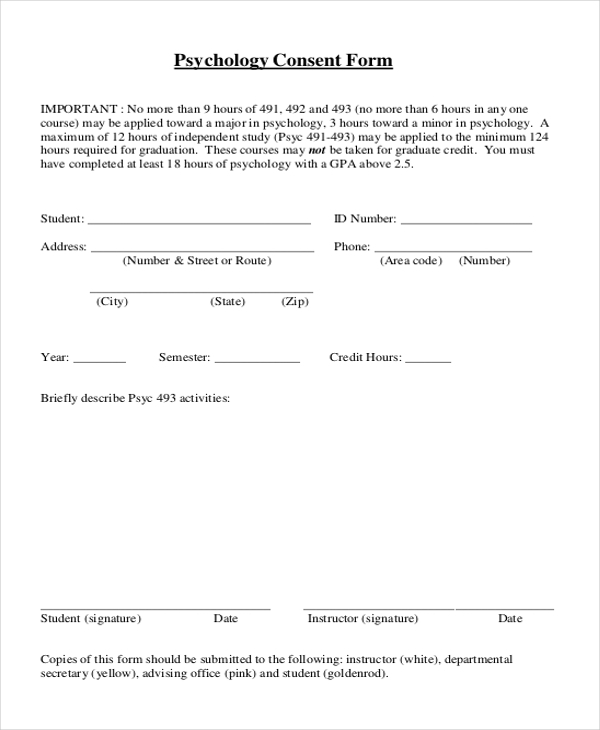 A Psychology consent form has to be given by the patient who by the psychologist receives any form of medical help such as therapy, counseling or assessment. Prior to conducting the session, a psychologist may ask for a consent form. 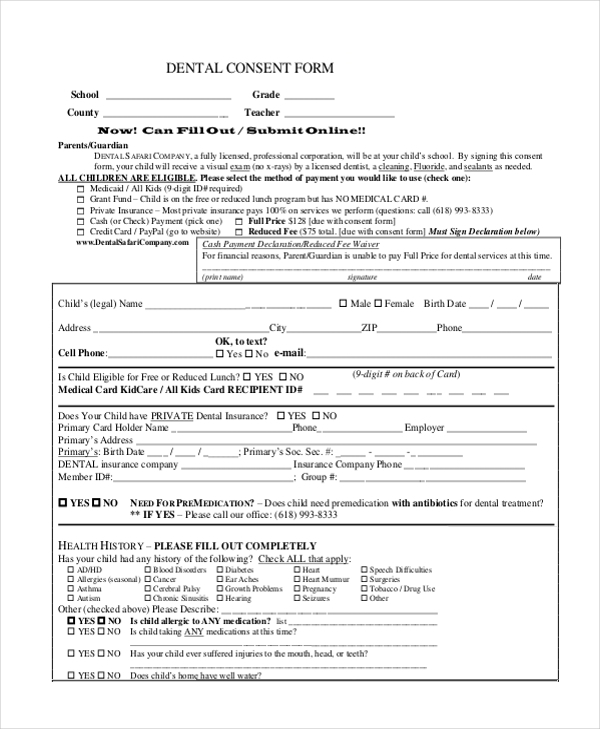 A dentist will ask the patient to fill the Dental Consent Forms prior to conducting any dental treatment on the patient. This form is important because of this form, the patient is giving his or her own consent for the task to be proceeded. 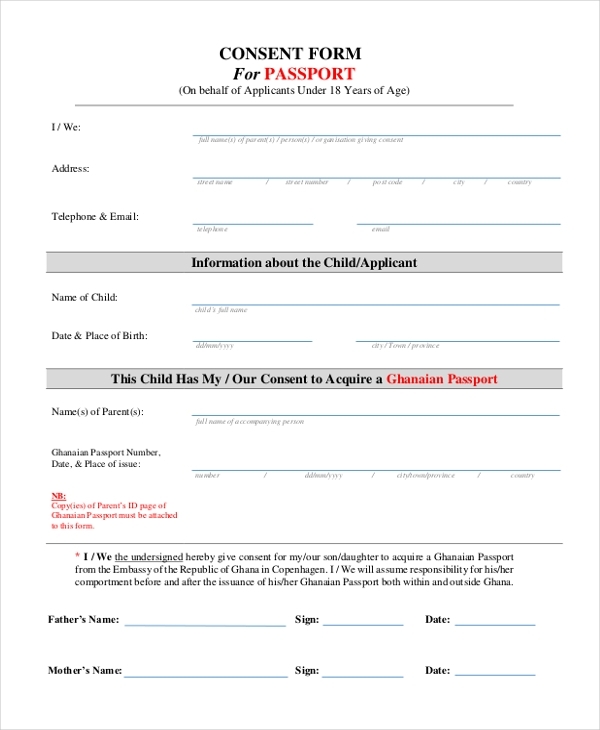 A passport consent form is required when a minor who is below the age of 16 applies for a passport and the minor’s guardian or parents are unavailable during the period of execution. A statement of consent has to be written and submitted by the minor. 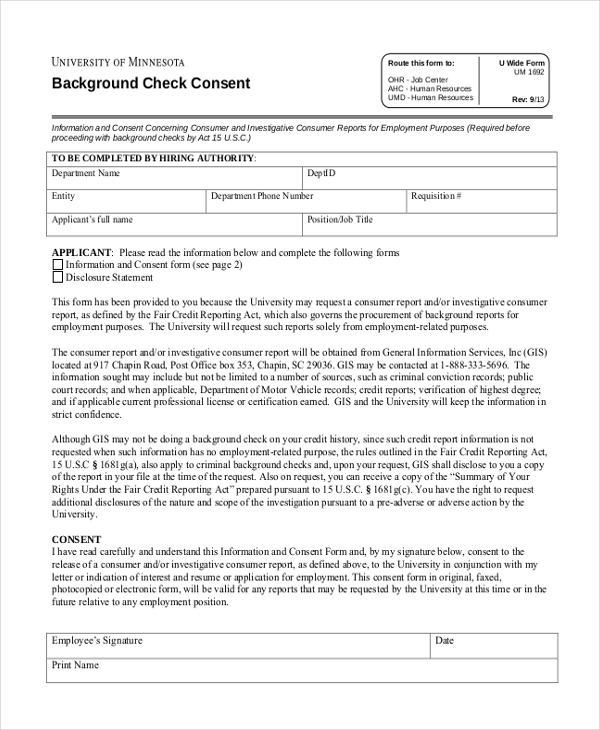 A background check consent form is mandatory for all the candidates who are applying for a new job. 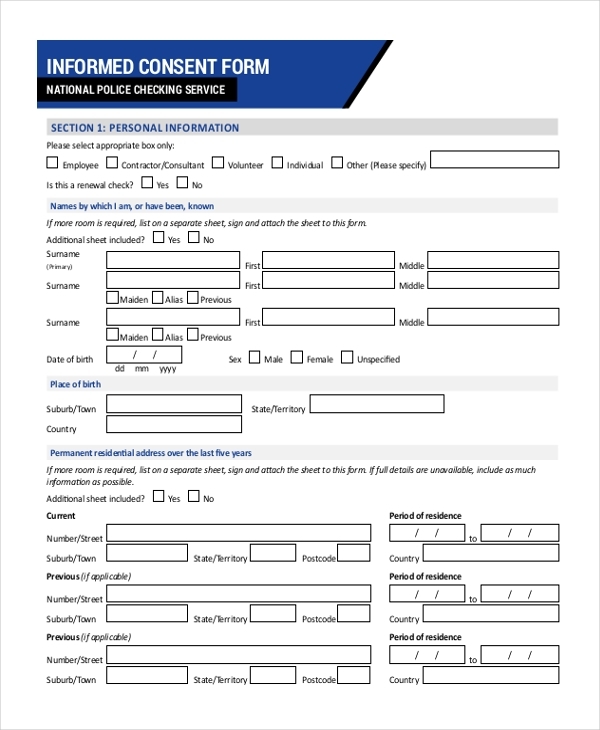 This consent form is screened by the authorities who will check for any criminal background in the candidate. A tenant before shifting to the house of the landowner must sign a consent form. It includes an agreement by the tenant for the payment of rent on a periodic basis or as agreed upon. 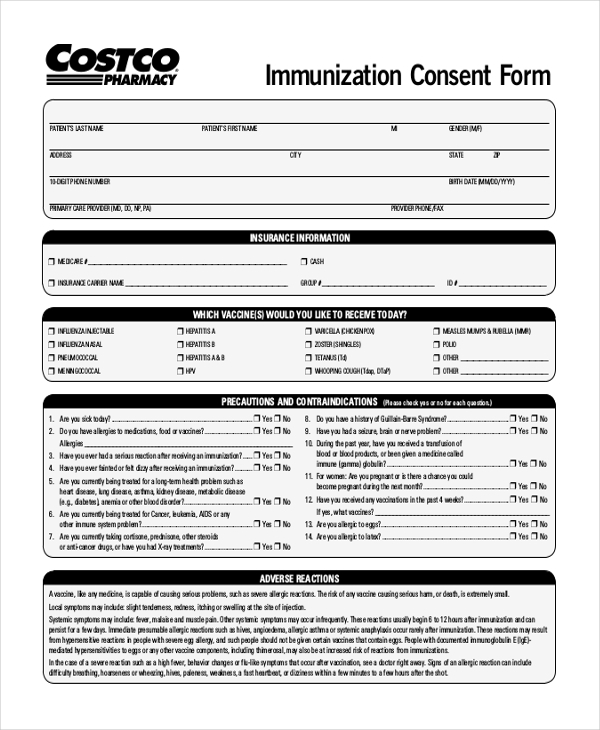 This consent form has to be given by the parents or guardians of a child who needs an immunization vaccine injection. Doctors prior to giving the immunization vaccine may ask for a consent form. A Business Consent Forms may be given by a new member who joins into the partnership in a new business. 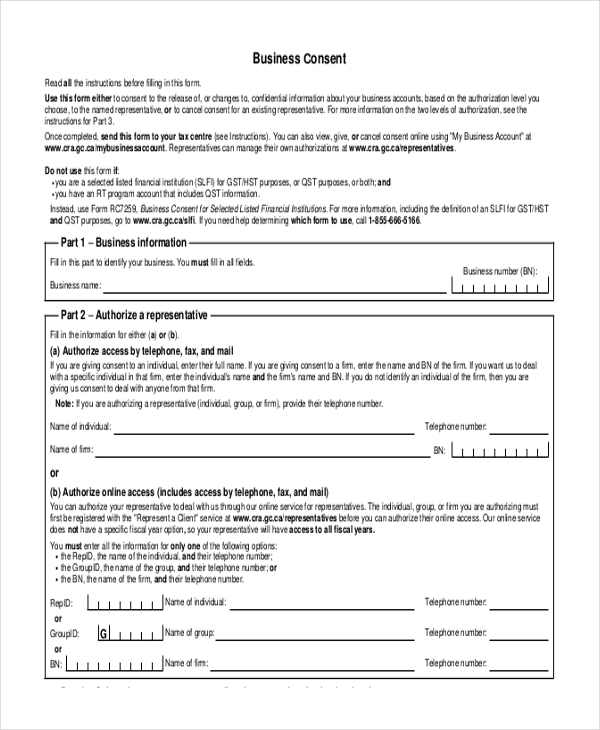 Also, this form is used for making any new business deals or obtaining consent from all members prior to adding a new member. 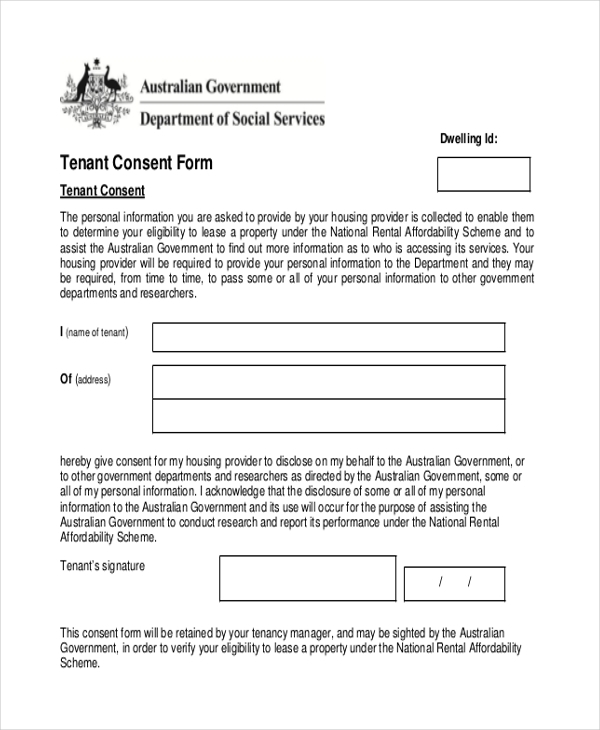 Why these Consent Forms are Used? Consent forms may be used as the evidence by authorities prior to performing any risky tasks. Consent forms are generally collected in hospitals by doctors before performing an operation or treatment to the patients. A consent form is obtained in order to let the people know that they are entering into a specific agreement at their own risk, without any force or pressure, whatsoever from the second party. A consent form is also obtained from minors in the absence of their parents or guardians before doing any of their work. You may also see Tattoo Consent Forms. Doctors are generally in charge of obtaining consent from their patients prior to performing any healthcare treatments or operation on the patient. It may also be used by passport agencies, business persons, employers etc. Employers may need a consent form from their employees before asking them to join for work. It may also be used for completing the background check of employees to ensure that they are clean from any criminal cases. You can also see Travel Consent Forms. A consent form is a necessary element that is obtained by professionals before performing any major task or operation. It is an evidence that the individual has agreed to get a specific task done at his or her own risk without any harassment or being pressurized by the other party.